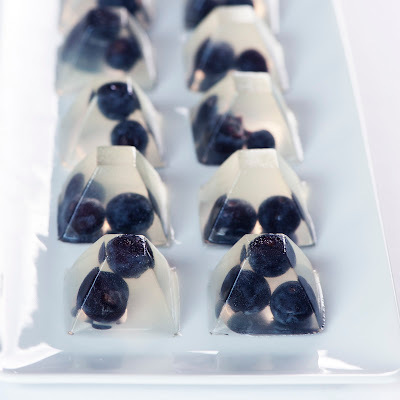 Blueberry-tini Jelly Shot - fresh and sweet and yum, all in a tiny bite . . .
Hello all, did you have a nice Halloween? I am posting this shot of the Blueberry-tini Jelly Shot (last seen as a gruesome trick-or-treat style eyeball) to showcase how pretty and cocktail-party-appropriate this jelly shot really is. So don't get the wrong idea about our sweet little friend . . . it's more than just another ugly eyeball, er ... face- er . . . oh you know what I mean! Recipe here . . .
Have a great weekend, and stay tuned for more new recipes soon!